If your company uses the Enterprise Architect® tool from SparxSystems® (preferably version 13 or even better 14), and you are an enterprise architect, process analyst, business analyst, functional analyst or data architect, this workshop is for you. During this workshop, we will model an End-to-End framework with SPARX Enterprise Architect version 14.x from scratch. By doing this, we will view en learn nearly all the techniques of SPARX EA 14. Besides that we will also see and model languages such as ArchiMate, BPMN and UML, both separately but also connected to each other as required in an End-to-End model. Our presenter Christian Gijsels will show the power of end-to-end modelling for business modelling, business understanding and communication between the different roles in a project. 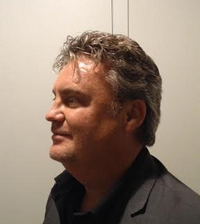 Your course leader and moderator is Christian Gijsels of GijselsDotCom Consulting. He has a lot of experience in business analysis, requirements management and modelling business processes with Enterprise Architect, and he uses this and other tools almost every day. Hence, you get a very practical and pragmatic view during this intensive, interactive and inspiring workshop, which is also available in-company. How do you make versioning with the time-based-modelling capabilities ?